Leaves the area of Caperneum and travels down into the area of Judea. (specifically Jericho and Bethany). He is headed toward Jerusalem to fulfill what God has called him to so. What Luke takes 10 chapters to cover Mark covers in 1 chapter. 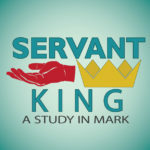 (Luke 9-19) Mark is specific in the stories he includes in his gospel. This week was a particularly confusing week in regards to this sermon. As we will see there are 3 stories, that seem to be totally unrelated to each other. I could have split them each into a separate sermon and made them stand alone but that did not feel right. In fact God kept leading me to search for the common thread. As we have worked through the book of Mark I have been convinced that God has been weaving a story of lessons he wants us to learn in regards to what true disciples look like. We have seen things like Recognizing God’s authority in our lives. A mission that need to be scattered and spread. The reminders that God is with us and has a plan for us. Realizing that the heart of the matter is the matter of the heart. Seeing God’s patience with us. The realization that our failure does not define us it refines us. Today I believe God want to call us to sacrificial love. The of love that understands God’s will is primary, there is no room for pride, and that in order to follow Jesus we must be willing to sacrifice what we hold most dear. We must release the idols that hold us from following Him. This is one of the most difficult issues in the church world today. It was no different in Jesus’ time. There were 2 major views of divorce among the Jews. The first was that marital unfaithfulness was the only reason for divorce. (this was the school of Shammai) The second idea was basically any reason. (this was the school oh Hillel) Most times Jesus sided more with the school of Hillel – over the practice of the sabbath. But even when we think we have finally figured out Jesus, He changes the game again. Jesus uses a familiar construct he used in the sermon on the mount in this discussion. Jesus would tell tell people “you have heard it said… (Referring to the Law of Moses) … But I say to you… creating His own “yoke” His own teaching with authority. Every time Jesus did this he always raised the bar. He always dealt with the heart not the action. So Jesus does the same thing here. He refers back to the Law and then takes them to the authority that He speaks with. The Authority of God. Jesus doesn’t take a side, instead he tells them they are both wrong. He tells them it was never God’s plan for divorce. That it was instead permitted by Moses, and the only reason it was written was because their hearts were hard. As we read further the amazing thing is Jesus is rather black and white on the issue. Before we go any further let me talk from my heart on this. I understand the relevance of divorce in our culture today. In fact in our culture today divorce no longer has the stigma that it used to hold. Divorce took a major spike in our culture in the 1970’s and in the 1990’s the trend to get married at all began to plummet significantly. Many statisticians say that the divorce rate is still about the same % even though the number of divorces has dropped significantly, because many people refuse to get married at all. I grew up in a divorced home. My parents got divorced when I was 13 years old. It was a very critical part of my life. I many years felt I was to blame for my parents divorce. I took it extremely hard. Even though my parents were not good together, and I knew it. In fact I told my mom when I was 10 that she should divorce my dad. So I carried that weight around all the way up through college when I got married. I know the horror and the damage a bad marriage can bring, and I know the horror and damage a divorce can bring. You see my mom was a believer and my dad was not (praise God my dad accepted Christ after that time) but the truth is I thought my mom had scriptural grounds for divorce. But what I learned later is “that is a misnomer”. Jesus says that the only reason divorce was ever even allowed was because our hearts are hard. Now before you think I am pointing a figure ad judging those who have been divorced. Let me say this up front. I don’t cast stones. Divorce is a sin, yes. But that sin can and is washed under the same blood as my sins. I do not stand in judgment of those who have made that choice. I resolve to always work to help people confess and move beyond their sins. To help them see that God is a loving and forgiving God who desires wholeness in each of our lives. That our sins do not define us but instead they refine us. But when I counsel people I tell them straight Divorce is not in God’s plan for 2 believers. Instead God desires for his disciples to live lives of sacrificial love. To understand that the relationship that God instituted is a sacred covenant not with each other but with Him. That they will display the kind of sacrificial love and commitment that God shows for us. That is why my wife and I have been married for 25 yrs now. We made a commitment not just before God but with God that we would never divorce. And God has held us together through many dark times that had the potential to destroy our marriage. I have known others who have divorced over the same or even smaller issues than we have faced. But I believe that is only because we have determined to not harden our hearts to God or each other. The call of God to his disciples is to sacrificial love! The next scene is very similar to what we saw just one chapter earlier with Jesus holding the children, This time though it is not in a private home, instead it is out in public with the whole world watching. People understood that Jesus was different than other Rabbis so they began to bring their children to Him just so he could bless them. The disciples thought that this was beneath Jesus. Maybe because realistically they thought it was beneath them. They had no time to bother with children. 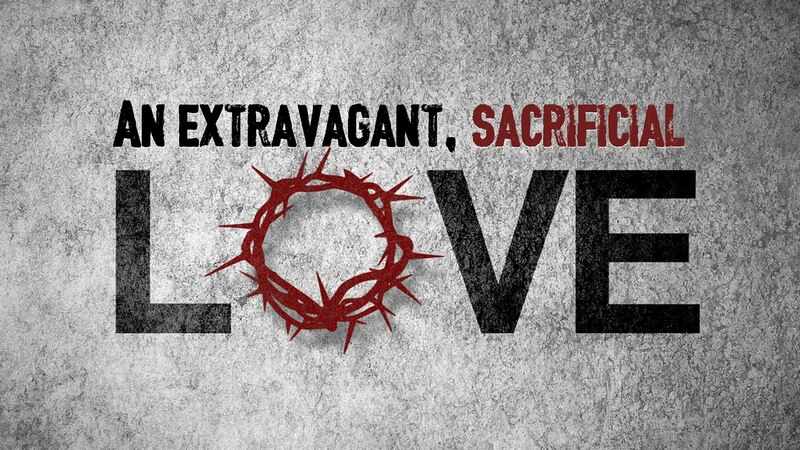 But Jesus sacrifices His own prestige, position and power to sacrificially love those who everyone else overlooked. In Phil 2 it tells us that God gave up everything for us. He sacrificed His home, is position in heaven, His rights and even His life to show us what love really is. I have preached on this passage before and there is so much here that I could have made this a sermon all to itself. But for the sake of time and the bigger story, I will only cover the highlights. First this man comes asking the wrong question. He thinks that He can earn God’s love by what he does. Jesus point Him to the law just like He did before when He spoke about divorce. Jesus does this to try and reveal to this man that the law cannot give him what he wants. He responds to Jesus saying that he has followed the law perfectly. Can you imagine that? Jesus knows that this man has not kept the law perfectly, but instead of rebuking this man Jesus points this man to the heart of the issue. In fact he reminds Him of the first commandment. He tells him to God sell everything he has and give it away. Why? Because his wealth was what he loved more than Jesus. He had another god in his life. And that God was more important. Jesus called him to sacrificial love. To give up the thing he most treasured in his life so that he could love God completely. This topic will come up again in chapter 12 when Jesus tells them that the Greatest commandment is to love God with everything we have. The mans response is response is sad and frightening at the same time. He walks away. He leaves the source of all he desires, Remember, he asked about eternal life. He forfeits eternal life for earthly pride. Jesus tells the disciples that holding on to temporal things keeps them from following Jesus as a disciple. While Jesus is talking specifically of wealth here, HE has so much more in mind as we will see in a few verses later. In Vs 26 the disciples are amazed. This word amazed has a meaning of panic behind it. They become completely panicked over the idea that they might be left out of the kingdom as well. Then Jesus reminds them of the truth of the GOSPEL. What is the Gospel? Jesus did it all, he is doing it all, and will continue to do it all for us. Jesus says you cannot do this but God can! You cannot earn your way to salvation. He will do it for you, in you and through you. When you are His disciple, God will call you to sacrificially love Him and others the way He does. And you will be able to do it because it is God in you, sacrificially loving. Jesus reminds the disciples that sacrifice is no sacrifice with God. The truth is that God does not call for sacrifice to deprive us. God calls for sacrifice to bless us. God’s plan is to give us everything and so much more than we could imagine. There is a false doctrine in the church today called the prosperity gospel, it is a dangerous theology that makes God a vending machine that if we declare something God is obligated to do it for us. But the there is a truth here that the Enemy has twisted. The truth is God desires for us as His church to be so sacrificial in our love that He tells us that He will bless that not only in this life but in eternity. I grew up hearing this from my mom, “You can’t outgive God!” There is nothing that you will sacrifice to God that He will not make up for 100 times over in this life and in eternity. If your heart is set on Him and Him alone, not on receiving it back, there is not sacrifice that God will not make up for. Jesus tells us the first will be last and last will be first. The worlds systems are backward. Up is down, sacrifice is blessing, and God calls us to love sacrificially to be His disciples.